In working with Veterans diagnosed with posttraumatic stress disorder (PTSD), we have noticed the evidence-based treatment approaches most often used, such as Prolonged Exposure (PE) and Cognitive Processing Therapy (CPT), may not address all symptoms, even after extensive trauma processing. Some Veterans indicate they continue to struggle with issues such as difficulty with social engagement, emotional vulnerability, mistrust, guilt, anhedonia, and anger, even after the fear-based symptoms (i.e. anxiety, hypervigilance, exaggerated startle response, etc.) have diminished (Steenkamp, Litz, Hoge, Charles, & Marmar, 2015). Clinicians with significant experience working with Veterans with PTSD will likely know how to address these symptoms during the course of treatment; however, the manuals for PE and CPT do not provide explicit guidance on how to do so. In this article, we will describe the importance of recognizing moral injury in trauma, and the guilt and shame that may be embedded in it, as well as address some clinical considerations. Shay (1995) notes that guilt and shame may stem from a moral injury, which he defines as a betrayal of rightness, in a high stakes situation, by a person in authority. Litz and colleagues (2009) conceptualize moral injury as a distinct component of trauma that stems from actions, or observations of others’ actions, that violate his or her own personal moral code and expectations for behavior. Veterans may experience ethically ambiguous situations that require split-second decisions, including being ordered to engage in behaviors that violate their sense of right and wrong, or witnessing others engaging in these acts (Litz et al., 2016). These moral and spiritual issues occur due to exposure to the traumatic event, yet they are distinct from the problems that arise due to exposure to the life-threatening nature of many traumatic experiences. However, the two are not mutually exclusive. Veterans experiencing a moral injury share many of the same symptoms as Veterans with PTSD who have not. Importantly, there are differences in how Veterans with PTSD and moral injury experience guilt and shame. Some Veterans may interpret guilt and/or shame as a rational and contextually appropriate consequence of their actions during a traumatic event. Other Veterans may experience guilt and/or shame that is illogical, irrational, and inappropriate given the circumstances of the trauma. The authors’ anecdotal experiences are consistent with literature identifying appropriate guilt and shame as symptoms that go beyond the current diagnostic criteria for PTSD, yet are often embedded in a person’s trauma (Shay, 1995, 2014; Litz et al., 2009, 2016). Inappropriate guilt and shame were added as new PTSD symptoms in the DSM-V, but appropriate guilt related to decisions made (or not made) in ethically and morally ambiguous situations is not yet being reflected in our current understanding of PTSD (APA, 2013). Guilt is a negative evaluation of a specific behavior associated with remorse and regret over real or imagined threats to one’s relationship with those harmed by the specific act (Farnsworth, Drescher, Nieuwsma, Walser, & Currier, 2014). It is context specific, and often does not involve a global reevaluation of one’s character. Shame is a negative evaluation of behavior which is then generalized to all facets of one’s identity, accompanied by feelings of worthlessness, vulnerability and hatred of the self (Farnsworth, Drescher, Nieuwsma, Walser, & Currier, 2014). Decades of research (Steenkamp, Litz, Hoge, Charles, & Marmar, 2015) have shown effective ways to clinically address the symptoms of PTSD. However, the identification and treatment of moral injury are relatively new. Nascent trauma treatments are examining the spiritual and moral facets of PTSD that can be hidden in traumatic experiences. An emerging treatment is Adaptive Disclosure (AD). This treatment helps the Veteran to modify understanding related to the trauma, consider alternative perspectives, and forgive themselves. It is meant to provide opportunities for meaning-making, while fostering reparation and atonement (Litz et al., 2016). The Veteran was a 19-year-old gunner on an OH-6 Cayuse “Loach” helicopter in Vietnam. The purpose of Loach missions is to draw fire from concealed combatants and to take fire orders from the Command and Control aircraft (C&C) flying above them. The Veteran had been on hundreds of similar missions, killing an uncounted number of combatants. During one mission, the Veteran’s Loach was flying in a free fire zone and was alerted to an unarmed male working in a rice field. The Loach was directed to approach this man. The Veteran asked for identification, and the man signaled that he had none. The C&C told the Loach pilot to order the Veteran to kill the man. The pilot refused to convey the order. The pilot was told a second time to kill the man and he finally relayed the message to the Veteran. The Veteran hesitated, as the man was unarmed and this was against the rules of engagement and both the pilot’s and the Veteran’s personal moral code. Again, the pilot ordered the Veteran to kill the man. This time, the Veteran looked the man in the eye, said “xin loi” (“I’m sorry”), and fired two rounds into his head and chest. The pilot and the Veteran discovered later that the South Vietnamese colonel in the C&C wanted a kill during this mission in order to improve his chances of promotion. For decades, the Veteran saw the man he killed in his dreams—always his confused face as he was shot. The Veteran abused alcohol for the next several decades and worked incessantly. He isolated himself and was afraid of his own anger. He attempted suicide on multiple occasions and expressed hatred for himself. In the case example above, we see a Veteran struggling with guilt and shame, both core symptoms of moral injury. These are two distinct but related emotions impacting the prognosis of PTSD in different ways. Nazarov et al. (2015) found that these intense feelings often lead to behaviors which are meant as punishment, such as self-injurious behaviors, self-deprecation, and self-alienation. We hypothesize that these behaviors may be unconscious and unproductive attempts at atonement or reparation for the irredeemable losses one caused. When a person engages in internally-focused punishment, his or her behaviors are self-destructive and often cyclical. The Veteran in the case example focused on punishing himself for killing an unarmed man. He was reminded of his behavior when the unarmed man appeared in his dreams. He punished himself through isolation, used alcohol as a way to numb himself, experienced self-alienating anger and violence, and attempted suicide multiple times. Through processing and self-examination in therapy, he discovered that shame and guilt fueled his self-imposed punishment. The Veteran was in a dangerous situation and reported concordant fear; however, his feelings of guilt and shame were the most distressing symptoms he experienced. Interestingly, the Veteran refused to engage in CPT and PE for treatment because a part of him believed that he did not deserve to get better. He believed that his suffering was his atonement. In the authors’ clinical experiences, initial attempts at atonement are often expressed as self-directed punishment rather than other-directed atonement (i.e. engaging in positive activities outside of oneself and directed at others in an attempt to make up for perceived transgressions). In processing moral injuries, individuals are encouraged to engage in other-directed atonement by finding a productive way to channel the energy behind the guilt and shame. The Veteran in the case example eventually decided to move away from self-directed punishment and towards other-directed atonement. Now, he is using his passion for fishing, specifically in teaching people to fish. He has donated money to mine clearing operations in Vietnam in an effort to atone for his perceived transgression. It may be appropriate and rational to feel guilt for killing an unarmed man. However, it is irrational for this Veteran to believe that he had complete control and ultimate decision-making authority in that situation. It is also notable that people who feel shame, or have the thought “I am bad,” are displaying signs of a good self by merely engaging in a moral evaluation of themselves. Essentially, bad people are not likely to worry about being bad people. The coexistence of moral injury and trauma has been found to be associated with the most severe and chronic types of PTSD (Drescher et al., 2011). Therefore, it is imperative that clinicians recognize moral injury and provide avenues for atonement aimed at redirecting self-focused punishment into other-focused reparation for those experiencing rational and appropriate guilt. We believe that this work can be done concurrently with trauma treatments, such as PE and CPT, or as a stand-alone treatment specifically directed at moral injury. Litz, B. T., Lebowitz, L., Gray, M. J., & Nash, W. P. (2016) Adaptive disclosure: A new treatment for military trauma, loss, and moral injury. New York, NY: Guilford Press. Shay, J. (1995) Achilles in Vietnam: Combat trauma and the undoing of character. New York, NY: Simon & Schuster. 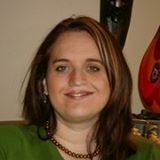 Rebecca Ann Temple is a polytrauma psychologist with the Gulf Coast Veterans Health Care System in Pensacola, FL. She works with Veterans with multiple psychological and physical injuries sustained in combat. Her clinical areas of interest are combat PTSD, law enforcement, personality, and assessment. She graduated with a PhD in Counseling Psychology from Tennessee State University. Robert A. Chester, M.A. is a Clinical Psychology Psy.D. student at William James College in Newton, MA. 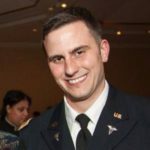 He is currently working as a Doctoral Psychology Intern at the Gulf Coast Veterans Healthcare System- Joint Ambulatory Care Center in Pensacola, FL. Mr. Chester is an Army veteran with experience as an enlisted combat engineer and as medical service corps officer. He is passionate about helping his fellow veterans recover from PTSD, substance use disorders and homelessness.